One Dollar. 15000 people. Think we can make it? When you were in school, you’d have probably learned that the heart supplies oxygenated blood to all parts of your body for it to function well. You probably took it for granted, too, that it was the same for everyone. But for those with an Atrial Septal Defect, it isn’t like this. The heart condition we just named here, is a condition where the amount of oxygen in the blood is lowered tremendously – and the heart supplies the blood with inadequate oxygen to the body’s many organs. Those that have the condition have a hole in the heart, which causes deoxygenated blood to flow in and mix with the oxygenated blood. The saddest part about this disease is it is usually undetected and only shows symptoms when adulthood is attained. By this time, the only way to treat it is surgery. A rather difficult condition, Atrial Septal Defect needs about $15,000 to rectify through a surgical procedure. For Jobelle Fernandez, that is a lot of money – way beyond what she can afford right now. She worked in Hong Kong as a domestic help and nanny – but now, can’t work because of her health condition. 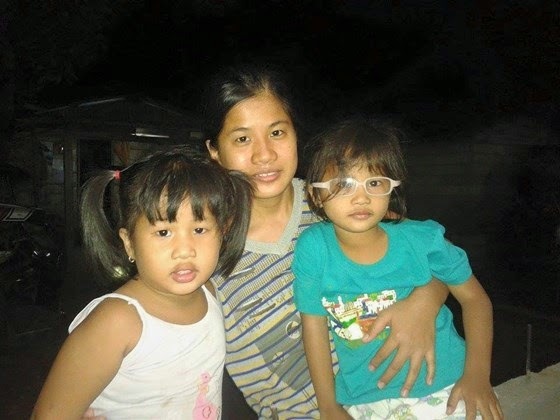 She needs the surgery soon to be able to lead a normal life, and to take care of her two beautiful daughters. Despite everything that is happening, my cousin is taking everything well and not losing hope but the operation should be done as early as possible for her to live. We are desperately in need of help don't know what to do or where to turn. We have been asking for help everywhere and one good soul taught us how to do a fundraiser. If we can spread the word to 15,000 or more Facebook users and each one can share or donate just $1, we should be able to produce $15,000 in no time! Even if you can’t contribute financially, we would be happy to have your support in spreading the word. Any assistance is welcome, really. For those that want to verify this fundraiser please contact Philippine Heart Center for information about the patient Jobelle Fernandez.